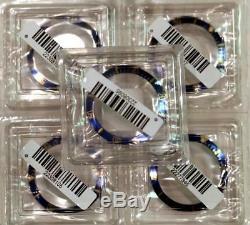 ONE NOS Rolex Submariner 16613,16618,16803,16808 Blue & Gold Bezel Insert #Z2. ONE NOS ORIGINAL MENS ROLEX SUBMARINER. BLUE AND GOLD BEZEL INSERT 2TONE or 18KY. Series: Mens 18KY or 2Tone Mens Rolex Submariner. Diameter: Inside 30.72mm, Outside 37.63mm. Insert is Brand NEW in sealed factory box. Price is for one insert only. This is a genuine Rolex Submariner bezel. 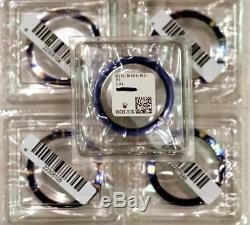 Will fit all Rolex Submariner with Date sapphire crystal: 16808, 16800, 16803, 16610, 16613, 16618, 16610LV. We also custom make all color of dial with any color stone that you have in mind. We can make exactly the way that you want it. Watchman Space is not a Rolex dealer and has no affiliation with Rolex Watch USA or Rolex SA. All custom dials are considered after-market unless bought from an Authorized Rolex dealer. Auctiva offers Free Image Hosting and Editing. The item "ONE NOS Rolex Submariner 16613,16618,16803,16808 Blue & Gold Bezel Insert #Z2" is in sale since Friday, November 16, 2018. This item is in the category "Jewelry & Watches\Watches, Parts & Accessories\Parts, Tools & Guides\Watches for Parts". The seller is "nbk2yoo" and is located in El Monte, California. This item can be shipped worldwide.